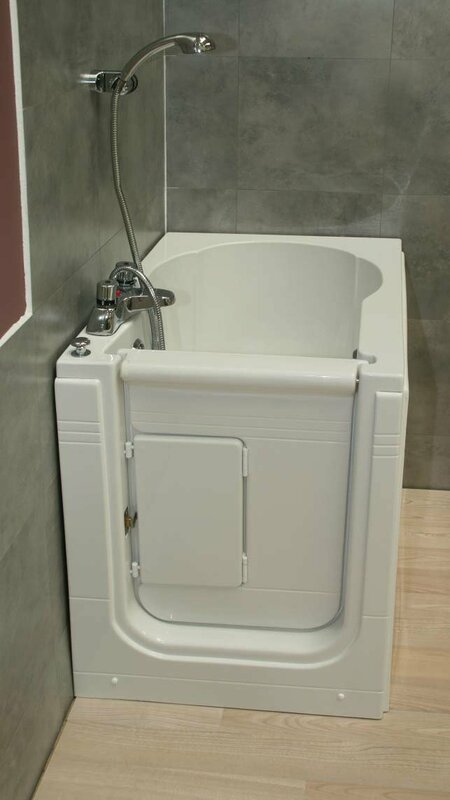 The Maestro Walk In Bath is possibly the most compact walk in tub bath available, the maestro shares the same award winning, inward opening, bi‐fold door arrangement as the highly successful Affinity bath. It has clear uncluttered access, with a watertight door which is effortless to use. Simply walk in, sit down and enjoy a deep soak bath or shower. Effortless gadget free door locking mechanism. Dual waste for faster drainage and safety. Compact design with minimal footprint. Integral seat for comfort and support. All prices include delivery, waste kit and side panel. Price is plus VAT, but in most cases the buyer would be VAT exempt, please call to discuss.